The Michel Porter AHEC Ambassador Award is presented to a member of the South Carolina AHEC System who has made a major contribution to the enhancement of the South Carolina AHEC by exhibiting excellence in the following categories: Attitude, Helpfulness, Empowerment and Creativity. This year, the South Carolina AHEC is proud to bestow the award to Lowcountry AHEC Health Professions Student Coordinator Kim Stephens. Ms. Stephens joined Lowcountry AHEC in 2007. With over eight years of service with AHEC, she has exhibited a willingness to go above and beyond for her colleagues and her students. On several occasions, she has even stepped up to serve simultaneously as a health profession student coordinator and the interim health careers program coordinator. Ms. Stephens is excellent at empowering both health professions and health career students. She is a great teacher and encourages health professions students to learn as much as they can during their rotations and activities. Kim Stephens has a heart for the rural community. She lives in the small town of Williams, SC, and you can’t get much smaller than that Colleton County town. She chose to become a health educator. Her first position was with Low Country Health Care Systems in rural, underserved Allendale County. While working at this Community Health Center (CHC) she educated minority, rural women with the goal of improving their health and lives. Kim has taken that passion to her work at South Carolina AHEC. She has made a major contribution to the improvement of the health of lowcountry citizens by educating future health professionals. Kim Stephens is a true South Carolina AHEC Ambassador and is genuinely worthy of this award. 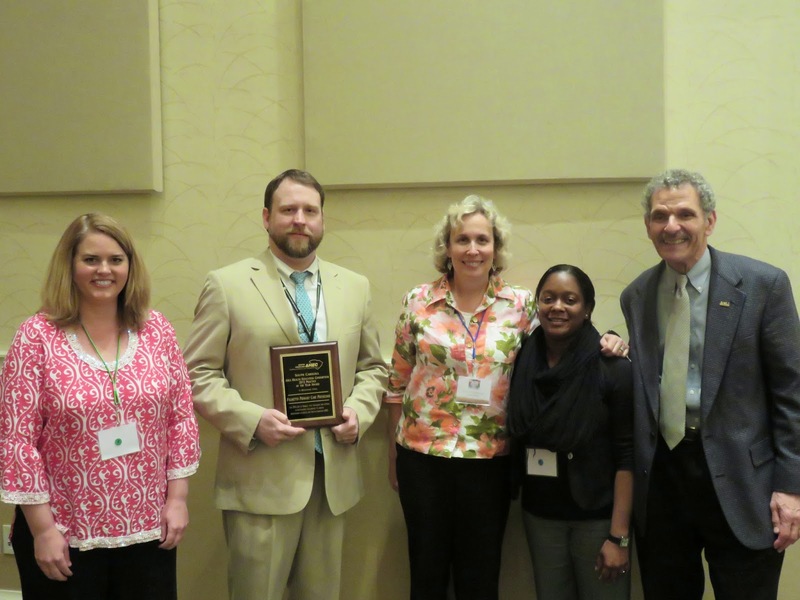 It is with great pleasure that Lowcountry AHEC announces Palmetto Primary Care Physicians as the 2015 South Carolina AHEC Site of the Year. Palmetto Primary Care Physicians (PPCP) is an independent multi-specialty group practice comprised of over 110 clinical providers with a wide range of expertise in primary and specialty care. PPCP employs over 700 clinical and non-clinical staff throughout South Carolina. They provide exceptional medical care for patients through 34 physician’s offices in seven counties. Lowcountry AHEC health profession students have benefited from a wide variety of experiences at PPCP. The providers and staff provide real world experience and a true taste of family medicine. Each year, practitioners and staff volunteer to provide hours of clinical education to students from various health profession programs, including the MUSC Nurse Practitioner Program, MUSC Physician Assistant Program and MUSC College of Medicine. It is PPCP’s dedication to the education of the next generation of health professionals that allows the students to be better prepared to practice medicine and excel in the delivery of healthcare. During the 2014-2015 academic year, PPCP providers precepted 27 MUSC student rotations. PPCP was one of the first practices in the country to establish a successful patient-centered medical home program and the first in South Carolina. The core values of PPCP are patient-, community-, and family-centered service. They are dedicated to serving the community in all aspects and consider the patients part of their family. They not only empower the community through quality medical care but also through education. 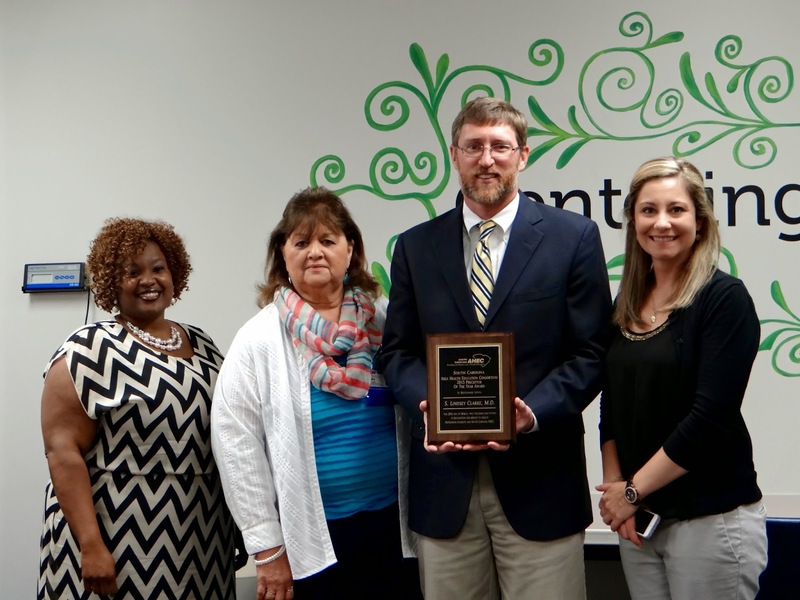 Mr. Mike Cope, Director Of Education & Staff Development, was present at the South Carolina AHEC Annual Meeting to accept the award on behalf of Palmetto Primary Care Physicians. Dr. Lindsey Clarke is a committed teacher and mentor of medical students. Not only is he an outstanding family physician at the Montgomery Center for Family Medicine at Self Regional Hospital in Greenwood, he is an outstanding teacher and professional role model for both third and fourth year students and medical residents at the Montgomery Center. Dr. Clarke never hesitates to take a student, usually taking more than one student per rotation. Additionally, Dr. Clarke goes above and beyond to help locate and provide housing for students when housing options are scarce. Dr. Clarke’s help with housing has been essential to student success in that rural area. Dr. Clarke also serves as the board chair of the Upstate not-for-profit organization Volunteers in Medical Missions. He has served as board chairman for several years and exhibits passion and commitment for impoverished, hurting people in developing countries of the world as well as embodies a high level of ethical standards and leadership. His personal characteristics are as exemplary as his clinical knowledge. Under his mentorship, AHEC medical students are getting the best opportunity possible to develop as physicians as well as individuals. Altogether, this is why Dr. Lindsey Clarke is the embodiment of the South Carolina AHEC Preceptor of the Year. Partners and program participants recognize Ms. Muscarella’s excellence in education. Participants routinely praise her expertise and approachable demeanor, as well as her excellent presentation skills. Healthcare professionals routinely return when Ms. Muscarella is presenting, remarking, “I always enjoy Cookie’s classes.” As a result of her presentations and programs, participants state that they will experience a change in practice. Ms. Muscarella is a shining example of excellence in education after her fourteen years of service to the South Carolina AHEC system and healthcare providers throughout the state of South Carolina. Bernice Kernan, GCDF, is an exceptional educator and partner of Mid-Carolina AHEC. Ms. Kernan is a career specialist at Longleaf Middle School and has served as the school liaison between the Mid-Carolina AHEC Health Careers Program (HCP) and the health profession students who participated in the Interprofessional Service Learning Program (ISLP). 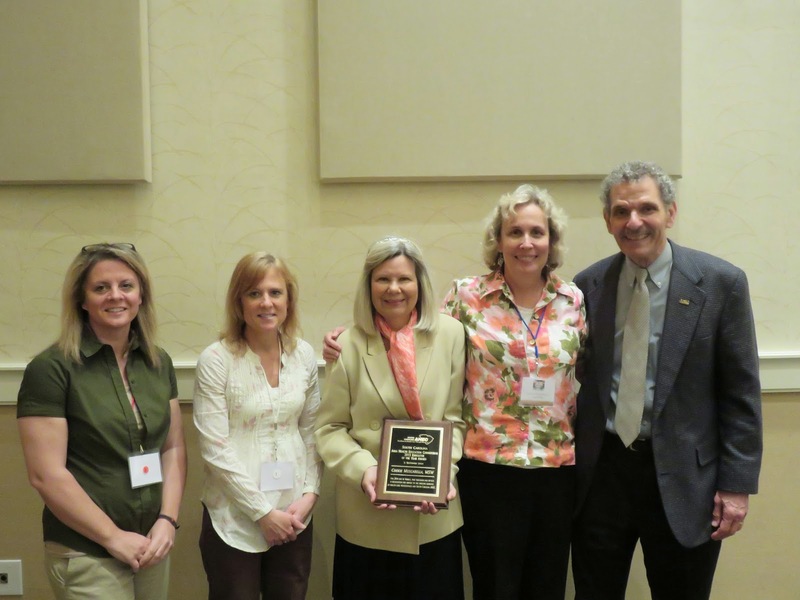 She was awarded the 2015 South Carolina AHEC Gateway Award, which recognizes excellence in health career promotion. Mid-Carolina HCP Coordinator Erica Davis remarks that Ms. Kernan is “the most adaptable, fun-loving, hard-working teacher I have ever worked with.” She possesses the ability to make every student feel like they belong. Through her partnership with Mid-Carolina AHEC, Ms. Kernan has inspired hundreds of students to take part in the Health Careers Program and ISLP. She has been an educator in the fullest sense instilling confidence, determination, and an educational foundation upon which many amazing lives have been built. Perhaps even more importantly, she has inspired a generation of students who are now passing these lessons on to a new generation. Without her dedication and passion many students, parents, and community members would have missed out on the opportunity to participate in the many programs the Health Careers Program offers. Ms. Kernan is a natural magnet who fosters partnerships allowing students to reach their fullest potential. She infuses high levels of content and a profound respect for each individual she encounters. Ms. Kernan truly exemplifies what is right about education by instilling a desire to succeed in each student. Congratulations, Ms. Bernice Kernan, recipient of the 2015 Gateway Award for excellence in service to future health professionals in South Carolina. The entire South Carolina AHEC system would like to congratulate and thank all of this year’s award winners for their excellent contributions to the healthcare field, the AHEC system, and the communities of South Carolina in which they serve!